Caterpillars and butterflies. And wasps. Over the course of the summer we collected green caterpillars from some nasturtium plants and placed them in a terrarium, along with regular supplies of fresh food. After a few weeks, most of these went on to produce a chrysalis. 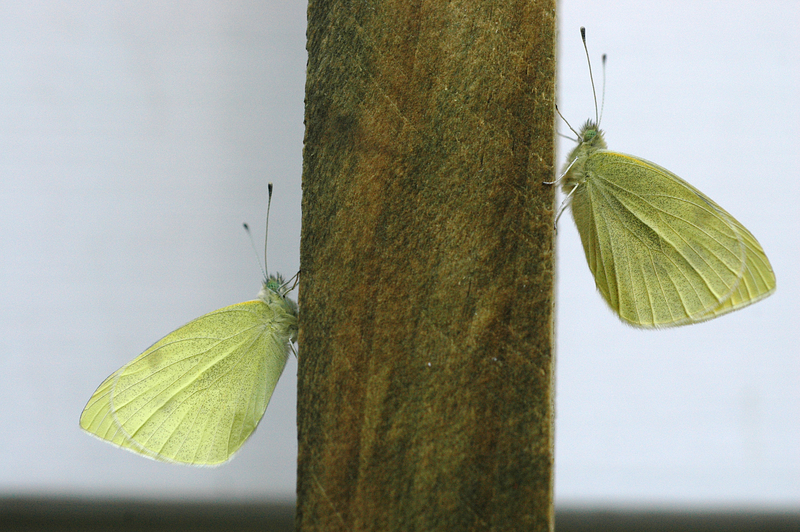 From past years experience, we expected them to emerge as cabbage white butterflies (Pieris rapae). 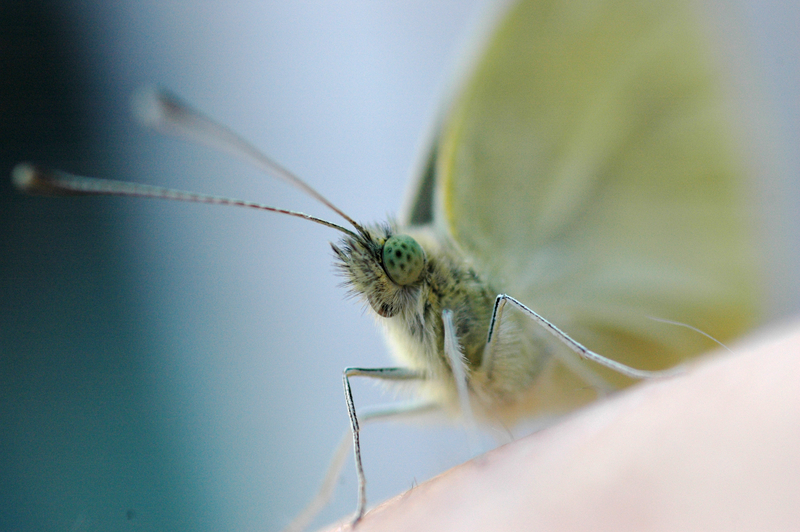 Cabbage white butterfly, Pieris rapae. 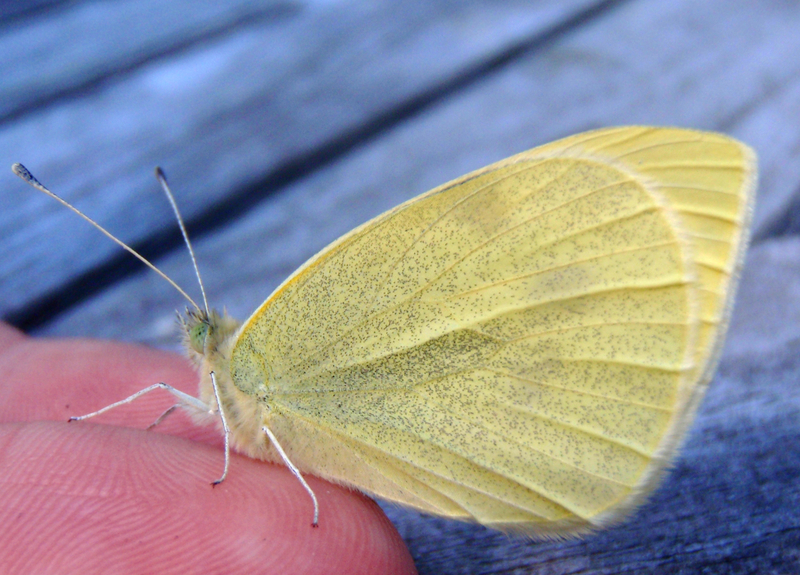 So far we have successfully raised 8 butterflies this year, with about the same number yet to emerge. 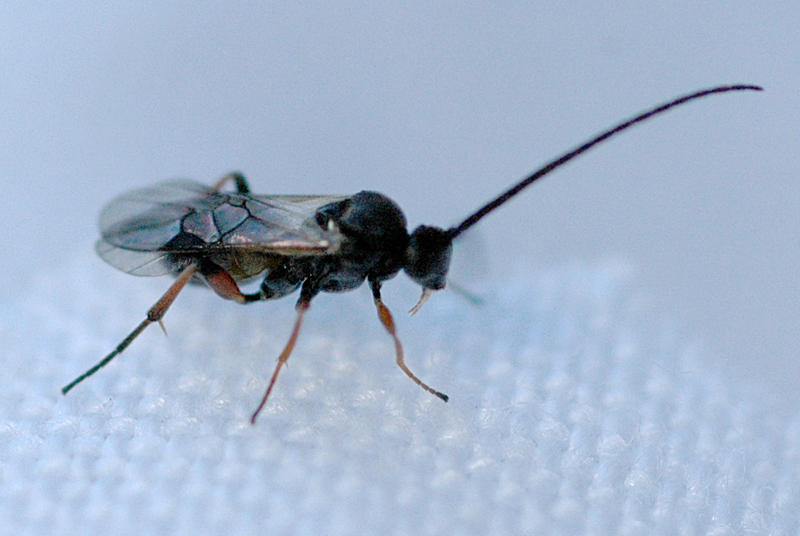 This species is not native to New Zealand, and is a widespread garden pest. However they are also rather beautiful. ‘Selini’ and ‘Kaisi’, just after being released. Our “caterpillar care” activities have raised various butterflies and moths before, but this year we had an interesting variation. As well as the cabage white chrysalidi (plural of chrysalis, see here) within the terrarium, we noticed some small (a couple of mm) white fluffy cocoons as well. 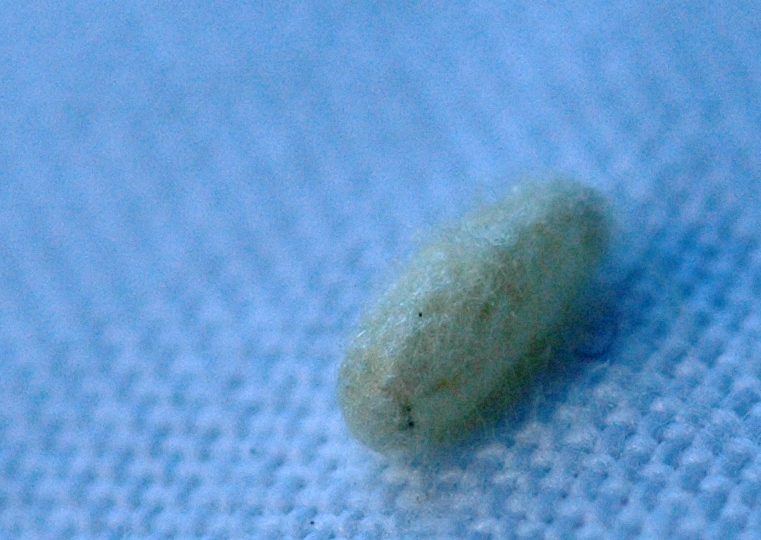 What emerged from these cocoons was a small, as yet unidentified, wasp. Several species of small parasitic wasps lay their eggs in cabbage white butterflies. The wasp larvae eat the caterpillar and later emerge to pupate. In our terrarium there were a couple of caterpillars that never made it to the chrysalis stage – next time we will look more closely to confirm whether this is what happened to them. Wasp, found in terrarium amongst cabbage white butterflies. The process is shown in one of David Attenborough’s videos – see Trials of Life, Episode 1 (“Arriving”), about 18 minutes into the video. It was especially satisfying to see this all happening in our own garden. One of our recent releases, that escaped the wasps. Thanks for the inspiration to capture any of the caterpillars in our garden so as we can watch their transformation. Seems obvious when you write about it but previously had never crossed my mind. A plan for next Summer.